Blaugust is done, the prizes have been awarded, and now we can rest. But here I am writing a post anyway. Has it become a habit? Perhaps so. After a month of posts it would feel strange now to go to bed without having written something. The free week of Final Fantasy XIV has ended, and I didn’t have any qualms about resubscribing. I even went ahead and ponied up for three months. I don’t have any difficulty believing I’ll continue playing at least that long. 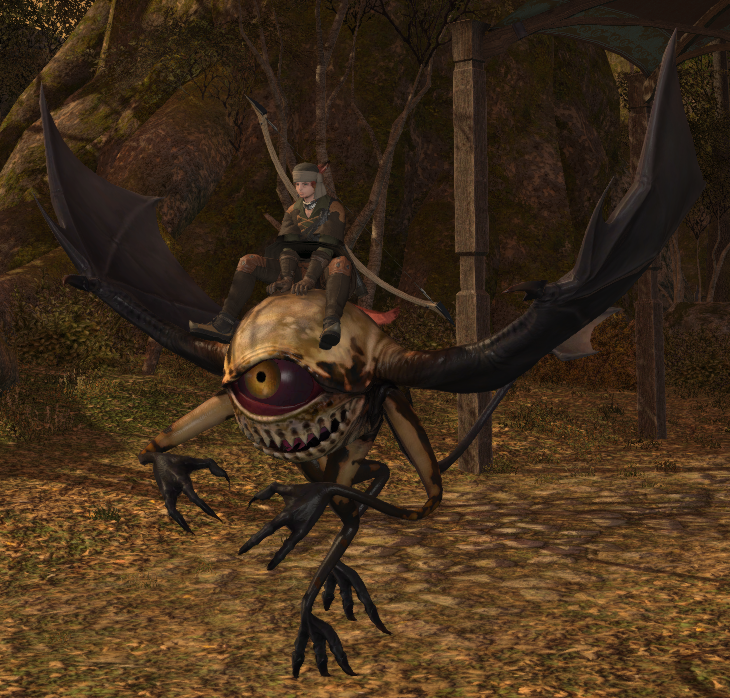 Resubscribing also got me the first few veteran’s rewards, so now I have a terrifying flying eyeball to ride around on and a pet flying glove cursor to follow me around. This game can be just a little weird at times. Also, the Lightning Strikes event was brought back this week, which is nice. I missed it the first time around since I was no longer playing by the time it occurred. It’s basically a quick series of quests to go out and participate in public events that feature Lightning for FFXIII. Completing the whole set gets you an FFXIII styled outfit and weapon to use as cosmetic gear. The final quest in the line is level 45, and I’m just now level 44, so I haven’t finished the lot yet. The event runs til the 10th though, so there’s no real danger of me missing out.